My love/hate relationship with William Adams. William Adams is one complex mf. 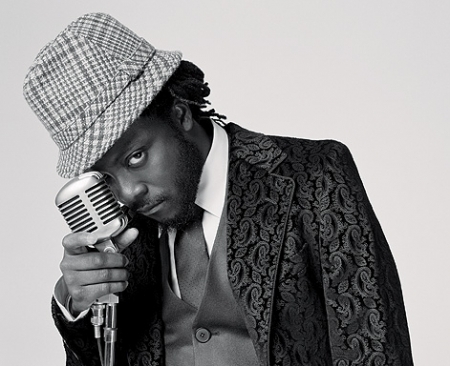 Under the name of will.i.am, he’s currently riding a wave of popularity – fueled by the most recent Black Eyed Peas album, collaborations with geeky Eurotrash DJ David Guetta and production work for a who’s who of urban and pop stars – but is this really his best work? Let’s go back to the proto-Black Eyed Peas act where he and apl.de.ap first cut their musical chops, the socially conscious Atbann Klann. They came up in the LA rap underground alongside heralded acts like Freestyle Fellowship, the Hieroglyphics crew and Abstract Tribe Unique, with whom they actually feuded briefly with over dance styles (both have b-boy roots). The sessions for their Ruthless debut, Grass Roots, never materialized on wax. Fast forward a couple of years and they release Behind the Front on Interscope. The funky, b-boy-fied rap of Fallin’ Up and Joints & Jam, fueled by Adams’ obvious musical talent and backing by an able-bodied live band made Black Eyed Peas one of the most interesting rap acts to come out of LA. They followed with Bridging the Gap and continued working with regular collaborators esthero, Kim Hill and Macy Gray, who provided BEP with a soulful backdrop for their b-boy charged beats and rhymes. The original Black Eyed Peas. Adams raised the bar even further when he released Lost Change, his contribution to BBE’s Beat Generation series and a welcome addition to the will.i.am canon. The album was a collection of instrumental and vocal tracks featuring LA underground rap vets Medusa and Planet Asia and criminally-slept- on nu soul act Terry Dexter, Then, Elephunk dropped, Hill bounced (she was the silent fourth Pea) and teen pop alum Stacy Ferguson of Eden’s Crush was introduced along with a new direction in sound. That’s where he lost me. I had such high hopes for this guy. Production-wise, he was on-point. Fat bottoms, crispy-fried snares and a soul midtempo that would do Dilla proud. The early BEP joints – which have slowly been removed from their set lists – were a welcome respite to the G-Funk sound that southern Cali was known mostly for at the time. He was a master musician and visionary that styled the group’s shows, videos and overall look. And, he could dance – unlike fellow producer-slash-“rapper” Sean “Puffy” Combs’ shiny suit shuffle, Adams is a bonafide b-boy. His recent production output has left a lot to be desired. Even his nods to the heads – BEP’s Renegotiations: The Remixes and his sophomore solo release Must Be 21 – left a lot to be desired even with assistance from the likes of DJ Premier, Large Professor, Erick Sermon, Pete Rock, DJ Jazzy Jeff, KRS-One, Phife Dawg, Phil Da Agony, Tash and John Legend. The two releases were the last vestige of Adams’ creative and refreshing sound. In its stead, we have been given so much fluff (Elephunk, Monkey Business, Songs About Girls, The E.N.D.) and the bladder dysfunctional banshee wail of a former teen pop dudshell named Fergie. Le, sigh. The new Black Eyed Peas. As for the omission of their earlier work from setlists, it’s no real surprise. Flashes of Joints & Jam, Weekend and Fallin’ Up at their 2003 and 2005 shows fell faster than Tiger’s post-Uchitel libido. Listening to live versions of Shut Up and My Humps only further illustrated the complete lack of musical sense in Adams’ newer material, which probably doesn’t matter to him anymore. Three Grammys, a record for longest successive #1 chart run on Billboard’s Hot 100 and a starring role in Urbz: Sims in the City will do that to any true musician content with a career propped by so much pap you could call him a gynecologist. This entry was posted in Uncategorized and tagged black eyed peas, blog, bundown, culture, hip hop, jay boogie, music, op ed, opinion, rap, will.i.am by bundown. Bookmark the permalink.